Setting out east along the coast, the Slumbering Ursine Dunes lie fifty miles from the port town of Wolsdag. As one travels, the climate becomes drier and the soil loose and sandy. 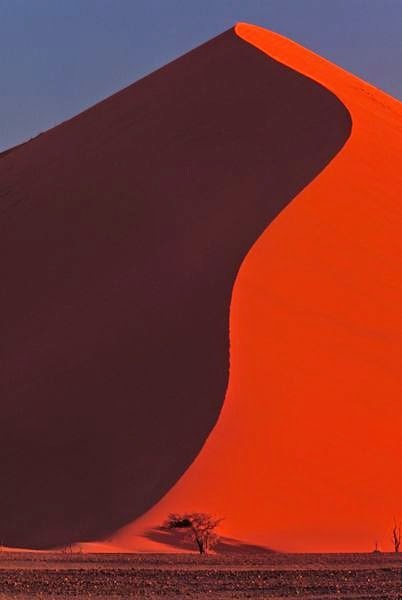 The vast humps of the Slumbering Dunes can be seen rising towards the sky from miles away. The locals dwelling near the dunes are beyond the reach or interest of the rival powers and principalities of Ruined Ghinor. Left to their own devices, they lead short and joyless lives, serving in their youth as raiders in cyclical blood feuds, and later as farmers coaxing nourishment from the barren soil. Superstitious, they keep their distance from the dunes, having trafficked for generations in tales about their witchery. But it was not always so. When ancient Ghinor was young, the fragrant shores and secluded cloisters of the Slumbering Dunes sheltered ascetic orders of the kingdom's byzantine faiths. Earlier still its precipitous carnelian slopes and winding byways served as holy precincts for the fearful, bloody cults of infant man. It is said that traces remain of older sites still, and that occasionally travelers stumble upon evidence of an unimaginable inhuman antiquity strangely undisturbed. Always the red sands have lured those with transcendent purposes and cosmic longings, for here the outer regions can be glimpsed as a flickering flame through onionskin parchment. Where else can one glimpse the fevered abundance of Wishery, the bleak chemical winter of the Alkaline Wastes, or the cramped non-euclidean spaces of the Sightless Labyrinth? Even now, the dunes draws to itself a square of opposed actors. Each has come, so they believe, for his own reasons. On the trail into the dunes, a modest village sits, a dozen houses arranged in a haphazard manner with communal farming plots. This is Kugelberg. The village head, Jaromir, was once a captain, but he disobeyed his hetman, refusing to send his men to their death in a harebrained assault. For his scruples, his right eye was plucked from his head, and he was sent into exile. He came first with his sons, but Kugelberg has since attracted a strange assortment of castaways: the crippled, the shunned, entertainers, heretics, even philosophers. It is open to all peaceable folk who comport themselves with respect. Jaromir knows much about the dunes, but says little. His experiences have embittered him, and he has left behind adventure and the arts of war. Within the Slumbering Dunes, time is a vexed riddle. But if we employ a temporal idiom in a guarded way, we may observe that the Master arrived in the twilight of Ghinor. It is not known whether he is a forgotten god, or a traveler from distant worlds, but he brought with him the droning bees, the mark of the bear, and the wild abandon of starry mead. In the final days when Ghinor was broken and the yoke of the Archivists descended on mankind, he welcome to the dunes the remnants of the Legion of the Black Pearl. They stumbled upon the dunes as they fought a desperate rearguard action against the siege engines and strange soldiers of the enemy, followed quickly by a stream of straggling refugees. Sheltered by the eternal spring of the Slumbering Dunes, they weathered the long winter of humanity's subjugation. His followers, now barely human, are not without an unruly justice and forgetful righteousness. More recent arrivals still, the bulb-headed servitors and lathe-men of the inimical Archivists have returned to the dunes from the Alkaline Wastes. They have come in pursuit of the Golden Barge, an artifact of great power that had eluded them through a series of pocket dimensions until it finally lodged on the shore betwixt the dunes. 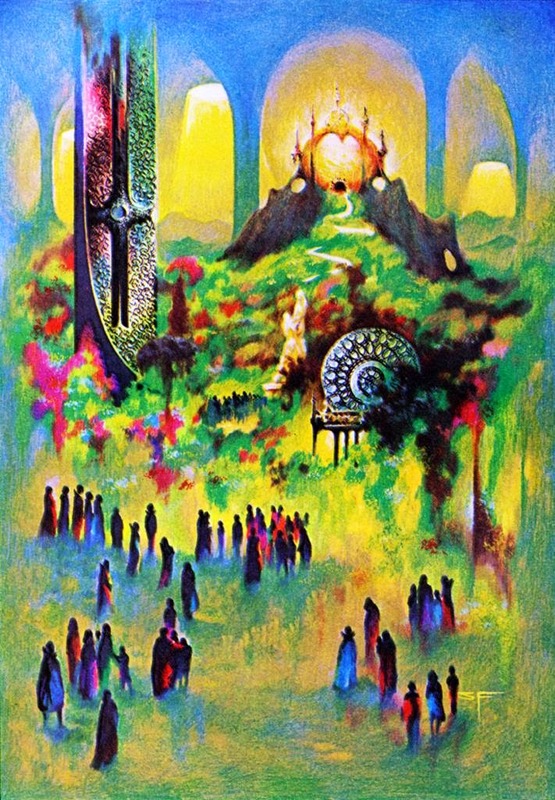 Through cunning machinations, the Archivists have several times extricated the barge and brought it over to the Alkaline Wastes, restoring it with great labors to its splendid magnificence, only to discover—with surprise and amusement—that the temporal eddies had brought it back to its former position and dilapidated state. They are patient and relentless, and even now hatch new plots. The most recent arrival in the dunes is Ondrj the reaver who has sailed his black galley, the Drowned Queen, to the coast of Ghinor in search of plunder and rapine. 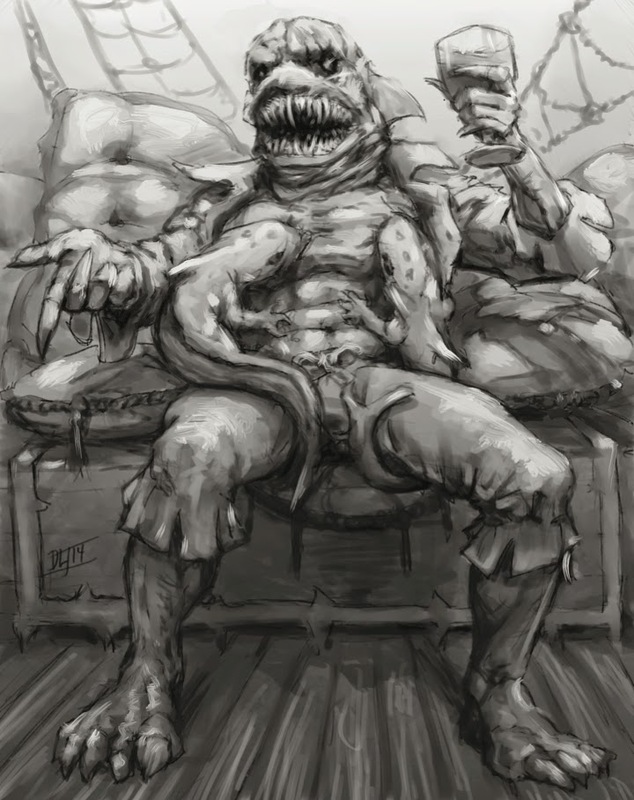 He is beloved by Armadad Bog, the Judge of the Deep, for his indiscriminate slaughter and careless cruelty on the seas. As his champion, Ondrj is blessed with the power to shed his shameful two-footed form, assuming at will the terrible splendor of the great white hunter of the depths. The loyalty of his crew of convicts and former brigands is two parts terror and one part awe, supplemented by the promptings of their overfed and unseemly appetites. Having found a clever route through the shoals surrounding the Misty Isles, and a hidden cove in which to conceal his vessel, Ondrj congratulates himself for the wits and strength of will to have located the perfect seat. However, it is the dunes that drew him here for reasons of its own of equipoise and cosmic opposition. Ondrj's depredations have set in motion larger events. 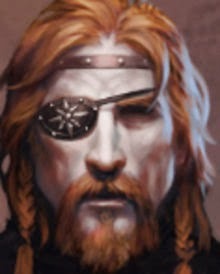 For, striking from the mists surrounding the Misty Isles, he has sunk several Guild vessels from Wolsdag, hauling great plunder back to the dunes. The mercenary vessel outfitted by the Temple of Nephtlys vanished into the mist, ruined on the shoals and turbulent waters surrounding the Misty Isles. The Tempters are hiring willing bands of miscreants to look into the disappearances, hoping to accomplish by land what they have failed to bring about by sea. But the rumors and ingrained superstitions of the locals about the Slumbering Dunes have made the proposition a difficult one to accept. This, in spite of the fact that the dunes are also said to hold countless treasures of earlier times. For the last few years, my wife and I have connected with old friends while on vacation in Cape Cod. The couple has one child, a 12 year old son named Sam. Sam likes board games. Three years ago he introduced me to Hive. Two years ago we all played Settlers of Catan. This past summer he introduced me and my son to Forbidden Island. We talked about war games, and I told him I would send him the pocket edition of Ogre. He seemed enthusiastic. My wife asked if he played D&D, and he remarked that he hadn't, but that he would like to try a game that was so open-ended. Now, introducing someone to D&D isn't like sending them a board game. A proper introduction to our hobby is an initiation. So much of the game is in the sense of how it's played. I thought, if I do it, I want to do it right, the way I wished I had been introduced to the game. I wanted to send the same box to Sam that I would send back in time to my adolescent self. But I knew that meant a big production, and I didn't know if he was really up for that. So when I sent along my copy of Ogre, I included a self-addressed stamped post card I had printed up with the best possible old school goodness. With his permission, I used this awesome illustration by Jez Gordon. I told him to put it in the mail to me if he wanted me to set him up with everything he would need to properly play D&D. A couple of months later, the postcard made its way back to me. So I put together the box of stuff you see at the top. Here's the letter I wrote him. I have sent you everything you need to start playing Dungeons & Dragons. D&D takes a minimum of 2 to play, but I’ve found it most enjoyable with 4 or 5. So you’ll need to find at least one friend to play with. Here’s how it works. One person plays the role of the dungeon master (DM), also sometimes called referee or judge or game master (GM). The others participants are called players. Each player controls one player character (PC), also referred to as adventurers. Together the PCs make a party or adventuring party. The PC is the heroic—or not so heroic—persona whom the player controls in the game. The player speaks and makes decisions for the PC, acting through him in the world of the game. (D&D is a very sophisticated form of make-believe.) The DM is responsible for everything else. He prepares places full of wonder and adventure for the players to explore: forsaken tombs, ruined cities, foul dungeons, flying islands, sunless caverns, and all the rest. He has the role of setting the scene and narrating the outcomes of the players’ actions, and he plays the role of everyone the PCs meet, including the non-player characters (NPCs) and monsters. The basic mechanic of D&D is shared storytelling. 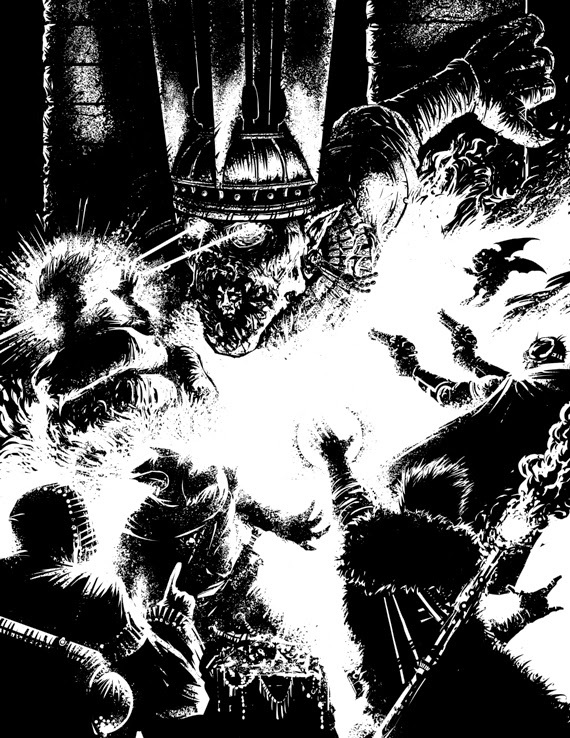 Typically, the DM will describe a scene and then ask the players, “What do you do?” The players will then tell the DM what actions their PCs take, sometimes speaking in their character’s voice, and sometimes narrating their actions. The DM then adjudicates the outcome of these actions, deciding what would happen, and what the various NPCs would do in response, given their aims and abilities. The DM narrates all this to the players and then turns it over to them once again. It’s all action and reaction, steered by the choices of the players within the narrative framework provided by the DM. The end result is a story with game elements interspersed, such as mapping when exploring a dungeon, and the rolling of dice in combat. The rulebooks explain how all this works, and I put an example of play in the folder as well that I printed out from a different source. It should give you a sense of how the back and forth of the game works. Given how open-ended a game it is, there are many ways to play D&D. I’m going to tell you my favorite way to do it. In my opinion, the thing that is most fun about D&D is that although there are rules for combat, casting spells, and a few other things, mostly the players can do whatever it is they want to do. This sets D&D apart from any board game or videogame. It’s what is unique about the game. If they want to go west they go west. If they want to explore the sewers, down they go. If they decide they have had enough, they may rob the duke instead of doing his bidding and finishing the job they signed on for. The world is their oyster. However, there are some framing devices that make play possible given this large degree of freedom. The first is an assumption about the starting motivation of the PCs. They have left ordinary lives as peasants behind to seek fortune and fame as hired swords and explorers of the unknown. The main reward in the game comes in the form of experience points (XP) that will allow their PCs to become more powerful by increasing in level. (The mechanic is now familiar from videogames, but it is original to D&D. Videogames were shaped by D&D, not the other way around.) XP is acquired by defeating monsters and finding treasure, but mainly by finding treasure. So the initial goal is to hire their services out for money, or to haul treasure out of forgotten tombs. Each gold piece (GP) acquired is equal to 1 XP. This sounds reductive and mechanical, since the method of advancing is based on greed and self-interest. This is all true, but in my experience, it leads to a very enjoyable game of low cunning. Initially, the PCs are characters like Indiana Jones or Han Solo. Their relationship to one another is like that of Han Solo and Chewbacca: they’re in it together against the world. When the PCs become more powerful, and come to interact with the world and its inhabitants, they will naturally acquire many other goals than mere wealth, and the game will shift emphasis organically. Eventually they may be participating in revolution or defending the world against some unholy threat. If they want to. The second thing is that everyone works from a map. The PCs have a home base. You start by presenting them with a set of adventure hooks: rumors about points of interest to explore on the map around the home base. They’re called “hooks” because you’re always dangling a bunch of them in front of players, and if they bite you reel them in to the adventure. So to start a game, you need four things: some characters, a map, a set of adventure hooks, and a description of their home base. I’ve given you everything you need to get started. Here’s what’s in this box. First off I’ve included the very books that I learned to play D&D from. In the folder, I’ve included two maps that you can use to represent the area around Hommlet. One is a “Judge’s Map” (i.e. a DM’s map) that has more geopgraphical information on it, and another is a “Player’s Map”. The idea is that they can fill in the blank spots on the map, drawing in terrain and locations as they discover them. I’ve already placed Hommlet, the Tomb of the Irong God, and the Tower of the Stargazer on both maps. As you’ll see, I put some more stuff on the DM’s map for your eyes only. Once you’ve read this material, you can take a look at my suggestions about how to run Hommlet below. When you start playing, the first order of business will be to have your players create characters. There are some character sheets in the SEIU folder. Next you should present the players with the player’s map showing them the location of Hommlet, the Tower of the Stargazer and the Tomb of the Iron God. Tell them that they’ve come to Hommlet in the hopes of making their fortune and name as adventurers. They have heard about several opportunities for adventure and exploration in the region. Provide them with the following hooks. Make sure they have all of them. Hook 1: One of the PCs (either a cleric or thief) has heard rumors that there was a monastery near to Hommlet devoted to an obscure funerary cult, “The Tomb of the Iron God”. It was recently destroyed in some kind of fire. The treasures belonging to countless generations of the entombed lie in the catacombs beneath the monastery, presumably ripe for the taking. 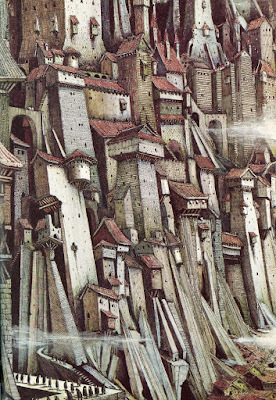 Hook 2: One of the PCs (either a magic-user or elf) has heard rumors of a wizard’s tower in the wilderness about a day’s journey from Hommlet. The wizard was an eccentric recluse known as The Stargazer. He has not been seen for a generation, and he has likely met an unnatural end. If his strange tower is intact, it will likely contain many of his valuable contrivances and wizardly gear. Hook 3: [More of a rumor than a hook] One of the PCs (a fighter, dwarf or Halfling) has heard that Hommlet is near the site of a battle fought several generations ago against the city of Nulb. The Nulbians were cultists of the Princes of Elemental Evil—a hideous religion. Somewhere nearby Hommlet there is an outpost of the Nulbians called the Moat House that was destroyed in a great siege. After that you can pick up with the player’s entrance into Hommlet. I think running Hommlet will be the hardest thing at first, since it’s so open ended, there are so many different important players, and Gygax provides so much unnecessary detail without ever really saying what’s going on. I’ve used it several times, and think it’s great. My main advice about running Hommlet is that you shouldn’t make a big deal about it at first. It’s a quiet town, with an Inn, where the PCs can acquire information about the places they’re going to visit, and buy equipment. Try to get the players to the doorstep of the Tomb of the Iron God or the Tower of the Stargazer pretty quickly without too much fuss in town. Over time, you can slowly make Hommlet come to life. (1) There is an Inn, where PCs will be staying. (The inn has a sexist name that I recommend you change, perhaps “Ostler’s” will do after the Inn’s owner.) The Inn is the only restaurant and bar in town, and is the center of the village social life. Here the PCs can gather information (rumors) about the places they want to explore and hire retainers. The owner of the Inn is one of the main good guys in town, but he plays his cards close to his chest. (2) The town is divided into two groups along religious lines. The first and largest group is the long-term residents. They are druids who follow an ancient pagan religion centered on the worship of nature. They are democratically organized and maintain a citizen militia, a holdover from the time generations ago when the town rose up against the Nulbians. 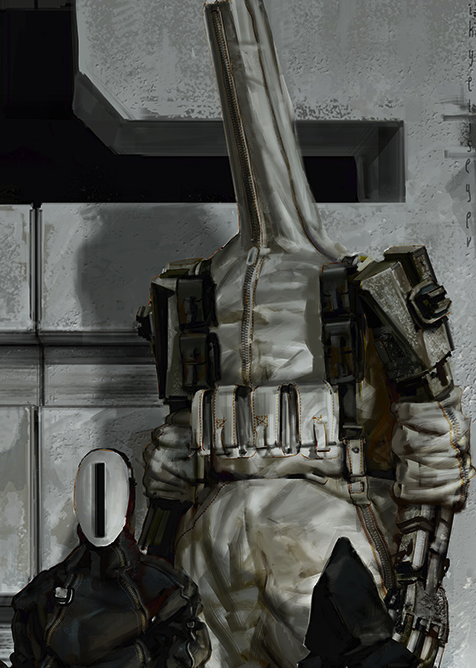 Ostler is one of the leaders of this faction. (3) The second group consists of new transplants from Verbobonc. They are worshippers of Saint Cuthbert, a fussy and moralistic religion with an organized church hierarchy. The Viscount of Verbobonc has decreed that a church to Saint Cuthbert be built in the town to plant the seed of the true faith. He has also granted jurisdiction over the town to a wizard named Burne who is to be addressed as “Your Most Worshipful Mage of Hommlet”. 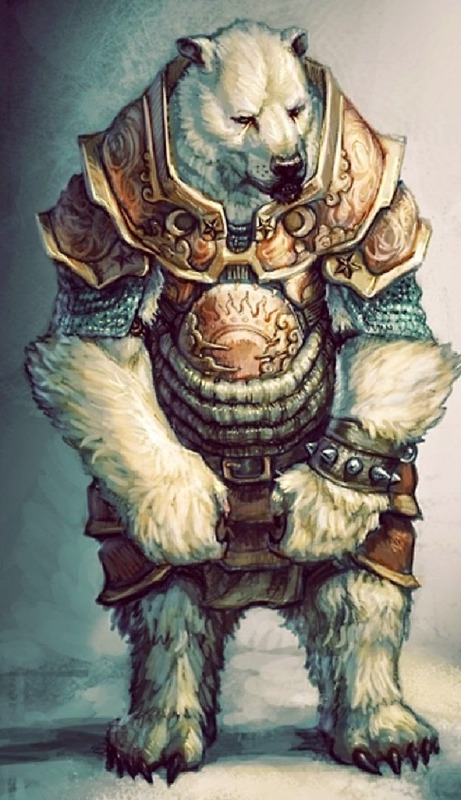 Burne has taken up residence there with his companion, a fighter named Rufus who commands a force of rough soldiers—former brigands—called “the Badgers”. Rufus and Burne are currently building a castle in Hommlet. The priests of Saint Cuthburt, Burne, and the others, are not bad people, but they do represent the feudal powers that hold dominion over the region. (4) There is tension about all this. The druidic citizens do not approve of these developments, but nor have they decided to actively oppose it. For one, they do not feel themselves powerful enough to resist the Viscount’s agents. And for another, they’re becoming worried that with evil forces on the move, their homespun militia may not be enough. There is a secret council that crosses faction lines, composed of Ostler, the leader of the militia, the Canon Terjan, and Burne. Although tensions run high, the council has thus far been able to work together to resolve problems as they arise. (5) There is a druid named Jaroo who is currently holding services in the sacred grove. As I imagine him, he is like Aragorn or Gandalf. He’s an agent of a secret organization of good guys (the Hierophants of Gnarly Woods). He’s a very busy man, keeping tabs on a million things, and always away on missions. He’s interested in Hommlet because he has come to suspect that it’s happening again: somehow the evil forces that gathered in the area generations ago are once again on the move, and the Temple of Elemental Evil may be rebuilt once again. He’s looking to put ordinary people in motion to discover what is happening and put an end to it. He can be a powerful ally to the PCs if he comes to trust them. He is in contact with Ostler and the druidic faction. (6) On the other side, there are several agents of the Cult of Elemental Evil in town. The main culprits are the bickering odd couple Gremag and Ranos Davl who run the shop where adventurers will buy and sell their goods. They will try to keep tabs on the adventurers, and to warn Lareth the Beautiful if the PCs are preparing an expedition to the Moat House. Ranos and Gremag will try to get the PCs to hire people from their store who they will use to spy on the party. The main trick I would use is to slowly bring the place to life is to introduce an event each time the PCs return to town after adventuring. For example, while the PCs were away, perhaps Burne has decreed that everyone now must tithe to the Church of Saint Cuthbert, and the long-term residents are angry. Or maybe some of the Badgers are in Ostler’s the night the PCs return, getting drunk and abusing townspeople. The PCs can turn the other way, or help out the townsfolk, with consequences either way. Or perhaps the bandits from the Moat House have become bolder striking merchants along the road, and Burne is offering a hefty reward for information leading to their capture. The other trick I would employ is to think about how the different groups in town will react to the actions of the PCs. For example, if they ask a lot of questions about the Tomb of the Iron God, and then come back to town weighted with gold and trying to sell the jewelry, some people may surmise that they’re looting the town’s ancestral tombs. On the other hand, if they tell the townspeople about the walking dead, the townspeople are likely to offer them aid in putting to rest their loved ones. You should think about how Ranos Davl and Gremag, or Ostler and Jaroo will respond to their actions. One word of warning about running the module. Gygax has many powerful NPCs, one good, but most evil, trying to worm their ways into the adventuring party. You should keep that to a minimum. The evil characters will destroy an inexperienced party, and having powerful allies directing the group will make your players feel like you’re pulling all the strings. Email me any time. I’d be delighted to answer any questions, or just hear how things are going. Like I said before, I think Dungeons and Dragons is probably the greatest game ever created. Imagine the hell out of it!